IMPORTANT! 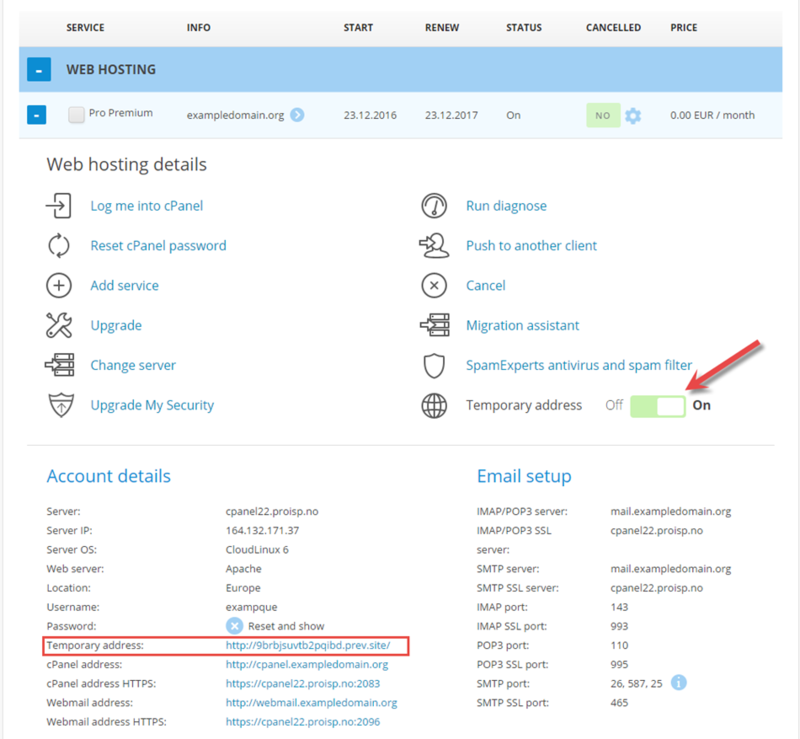 We recommend you follow "How to change the host file locally to preview website before domain transfer" to view the website before the domain is registered/pointing to our servers instead of the guide below. 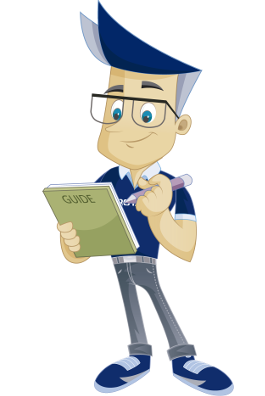 If you feel the mentioned guide is difficult to follow you can follow the guide below instead. 2. 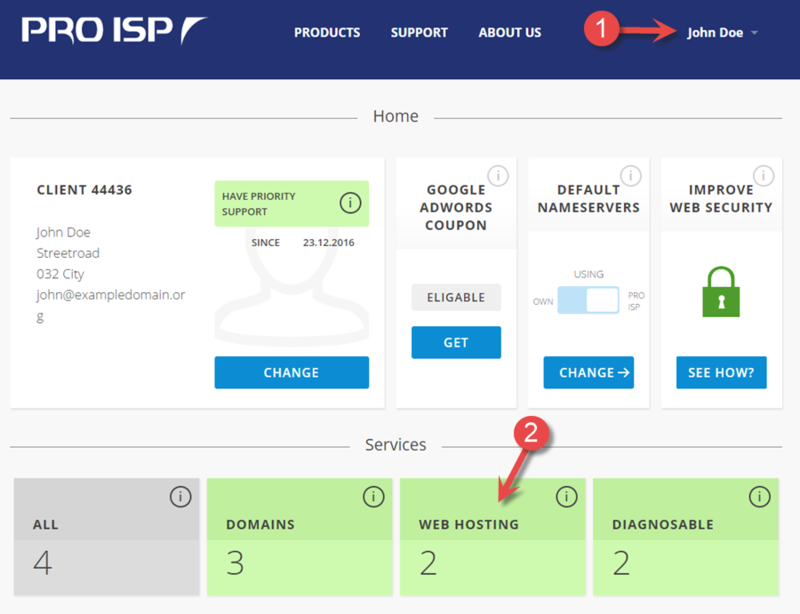 Choose "Web hosting" as shown in the screenshot below. 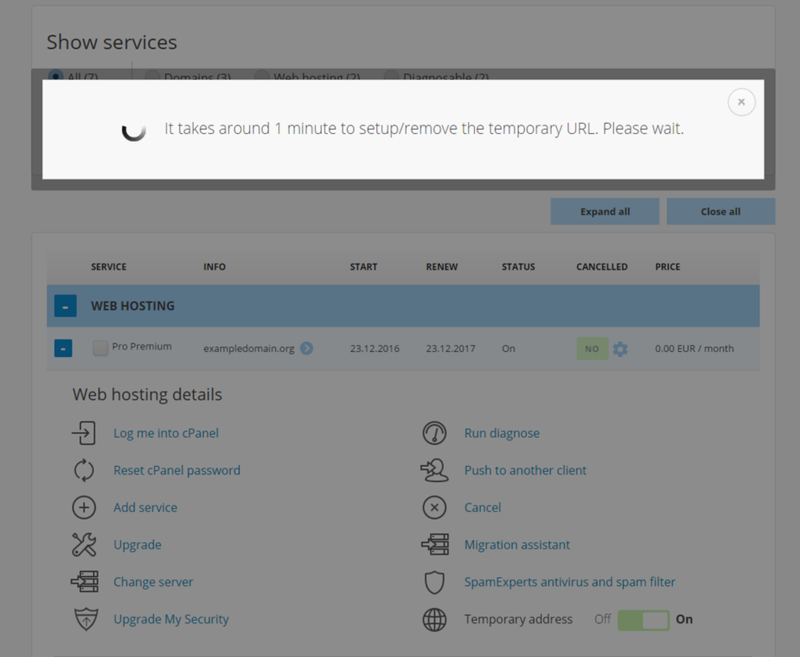 Activate temporary address by clicking the slider as shown below. A notification will appear and your temporary address will be activated shortly after. The temporary address will be visible under "Account details" as shown in the picture below. 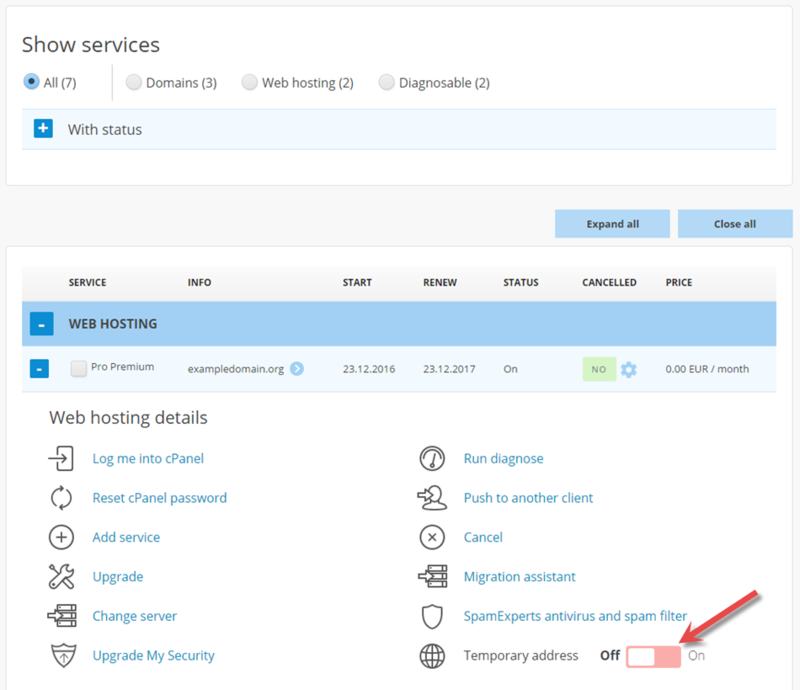 We have now shown you how to activate temporary address for your web hosting.